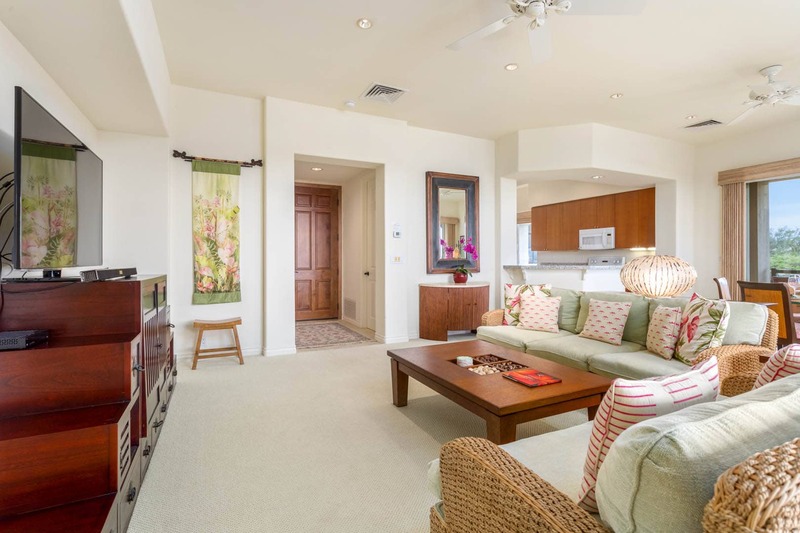 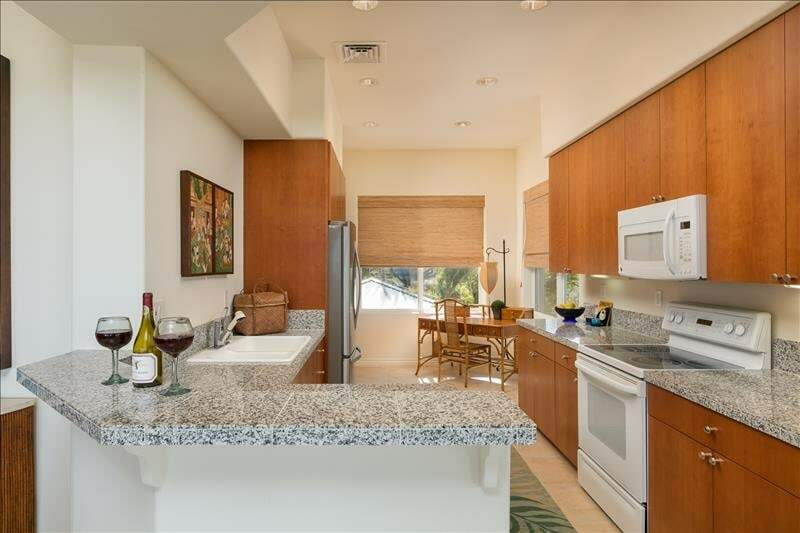 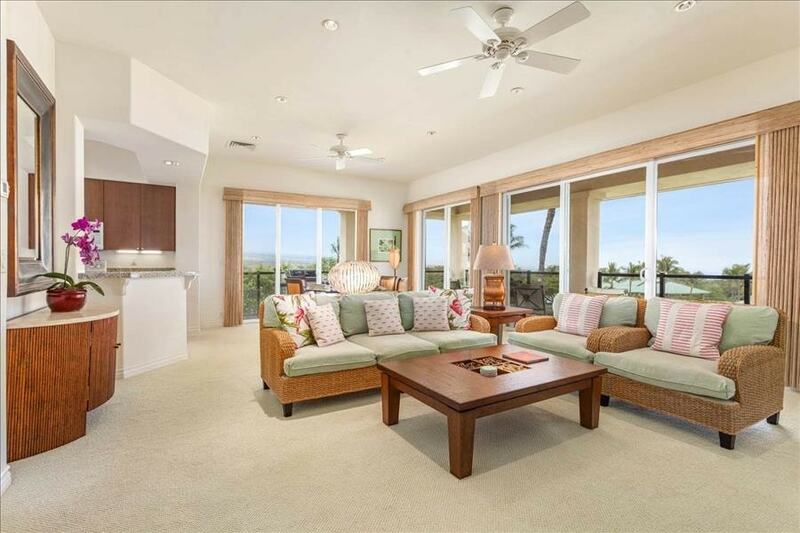 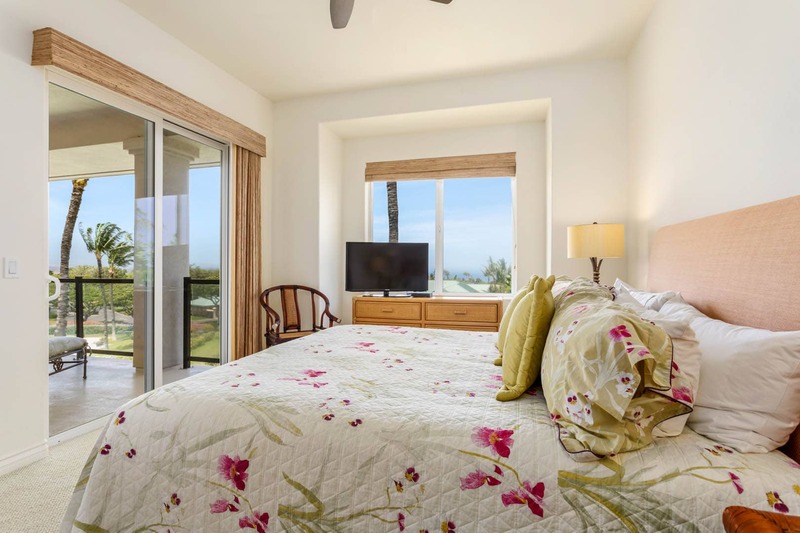 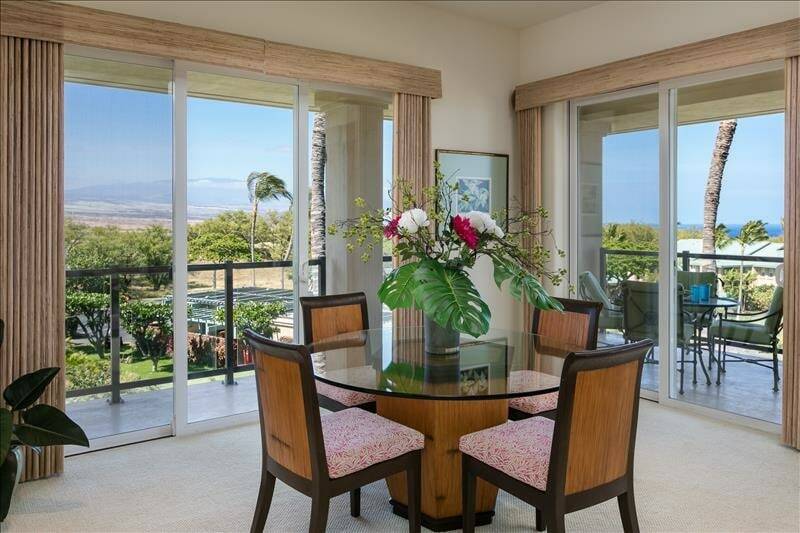 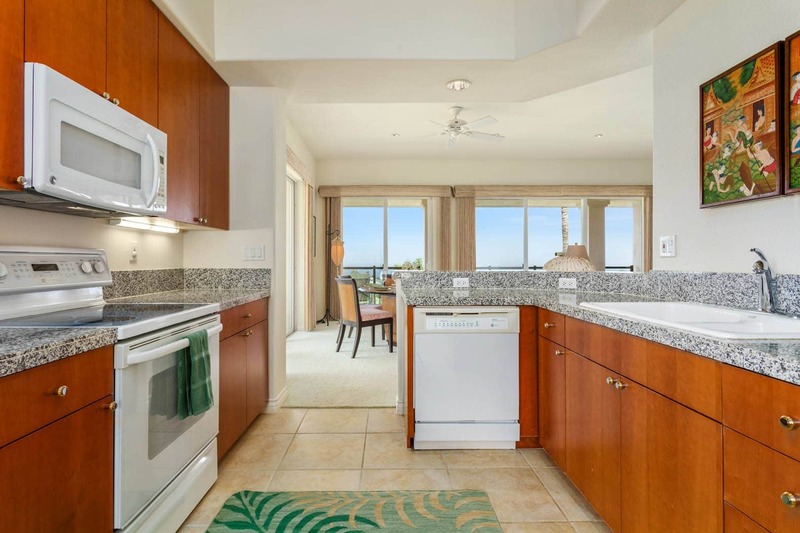 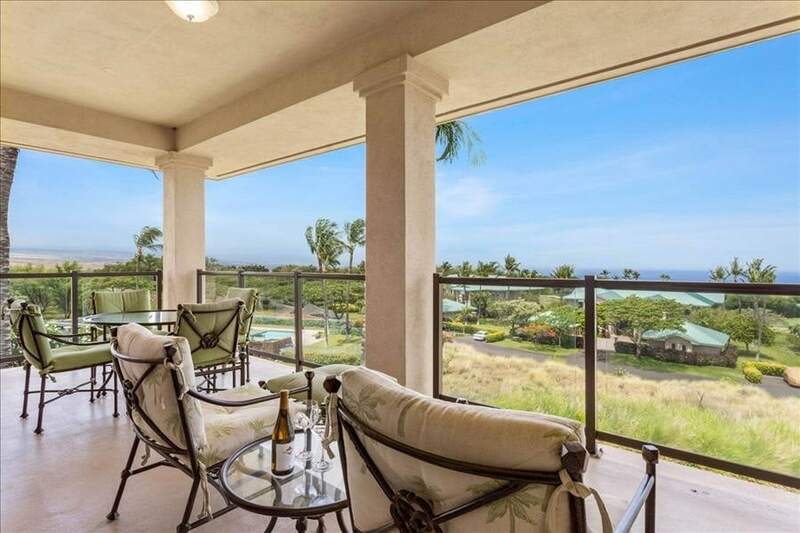 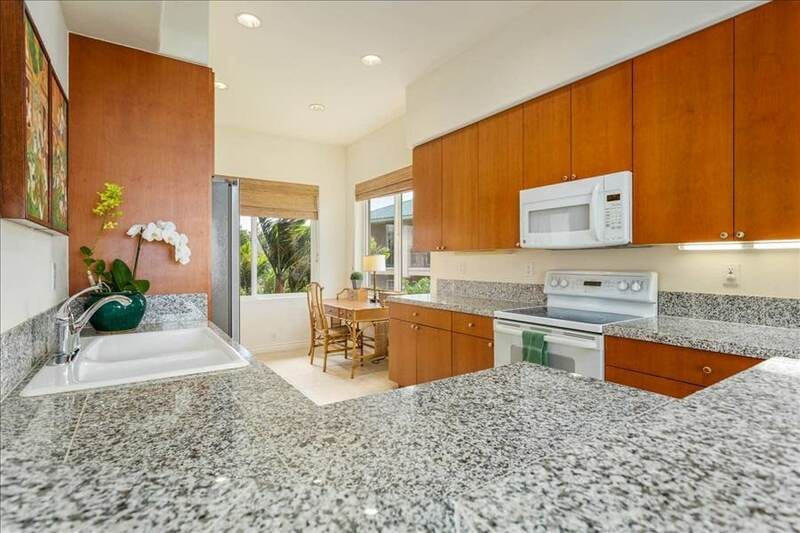 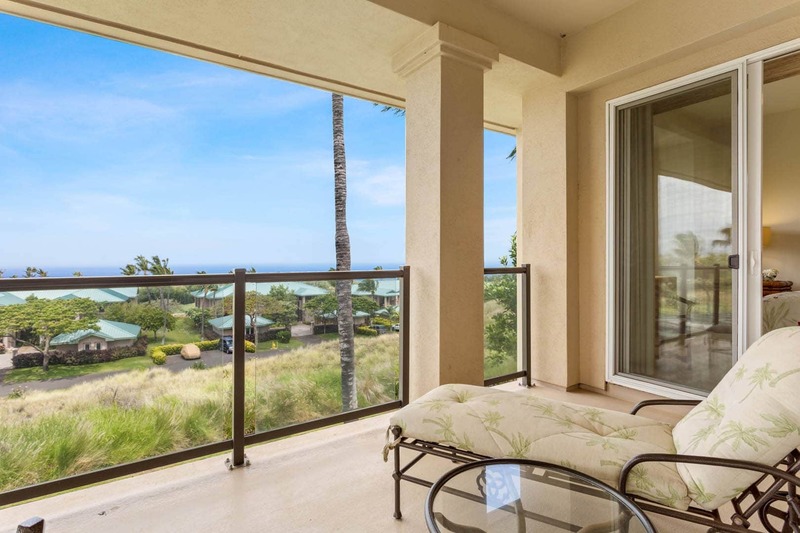 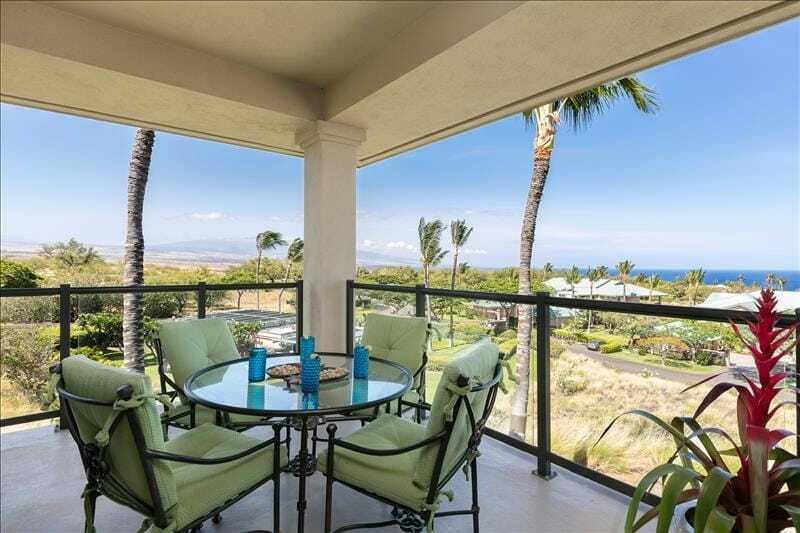 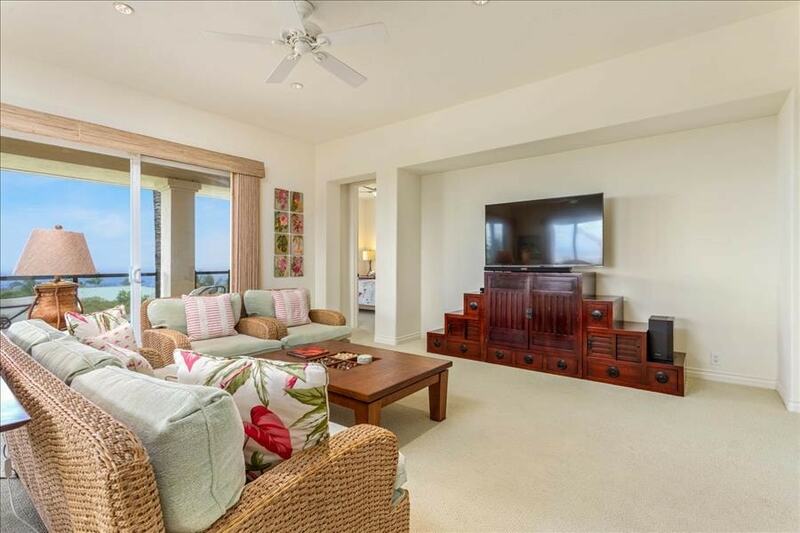 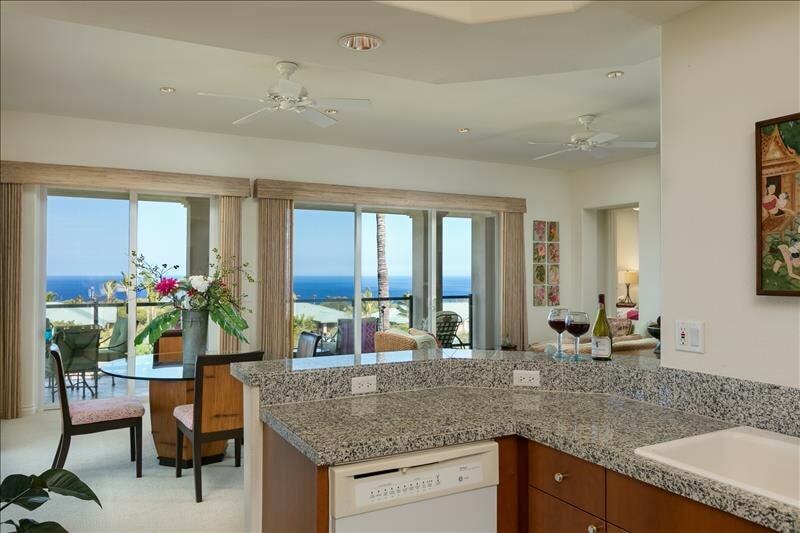 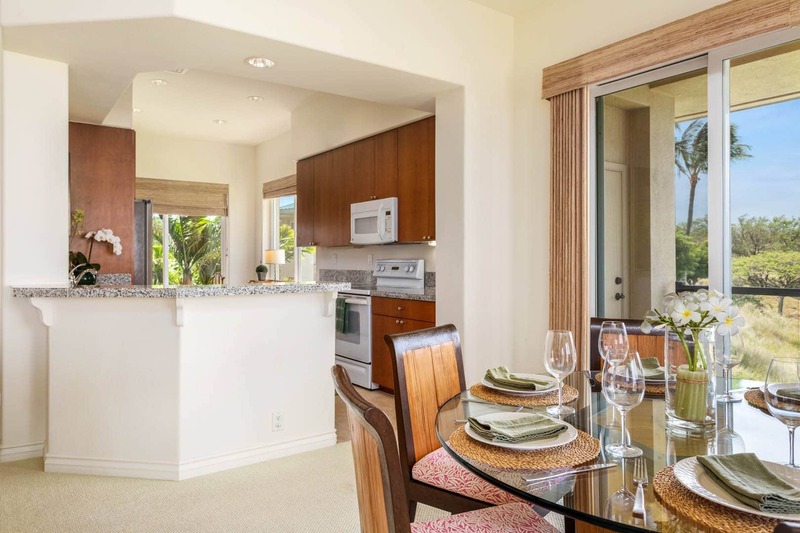 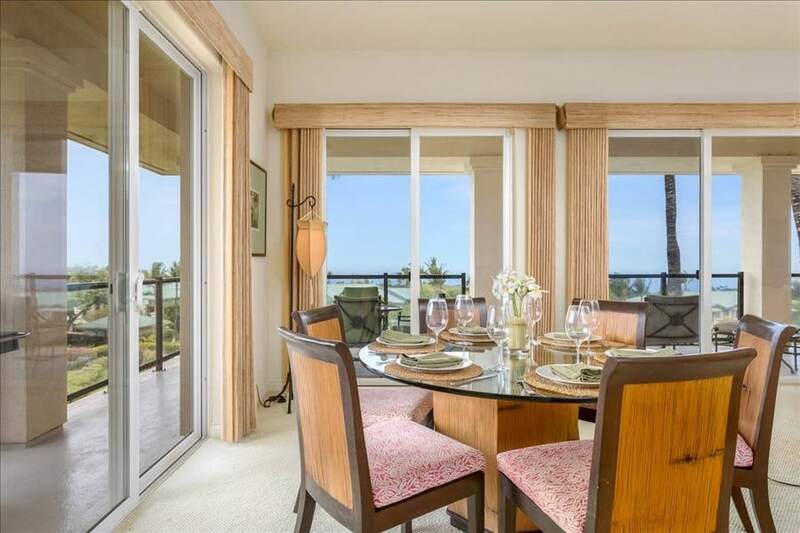 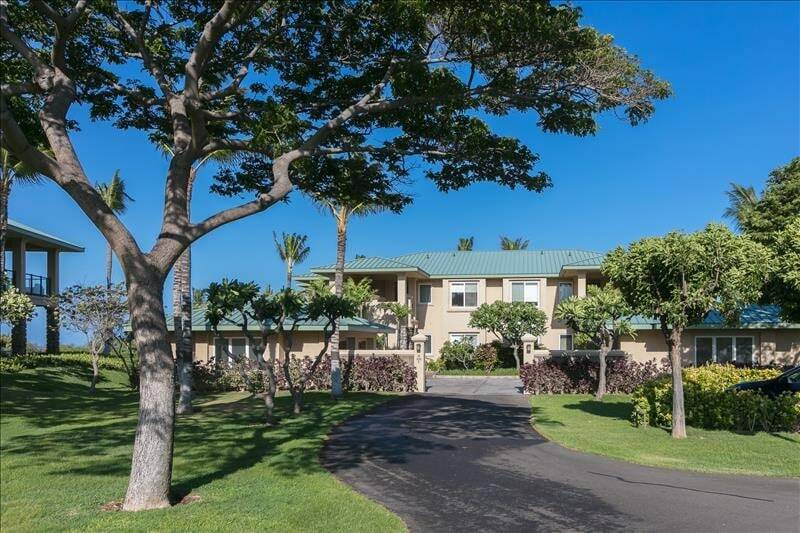 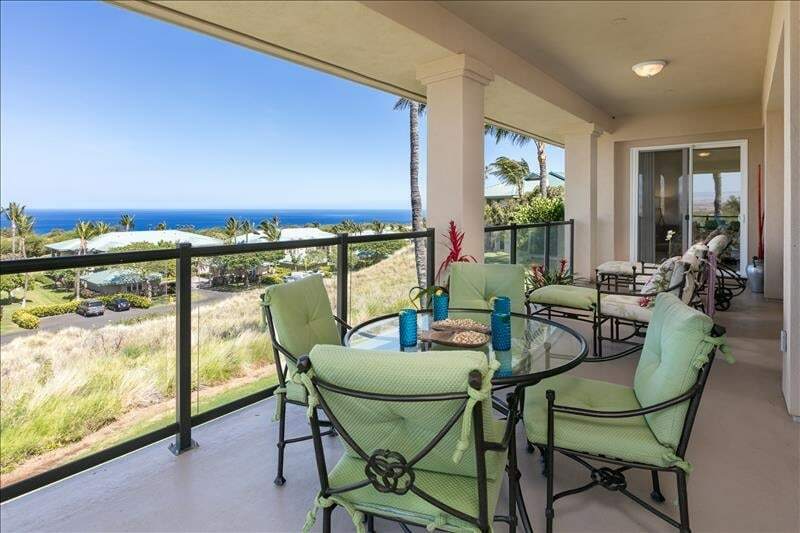 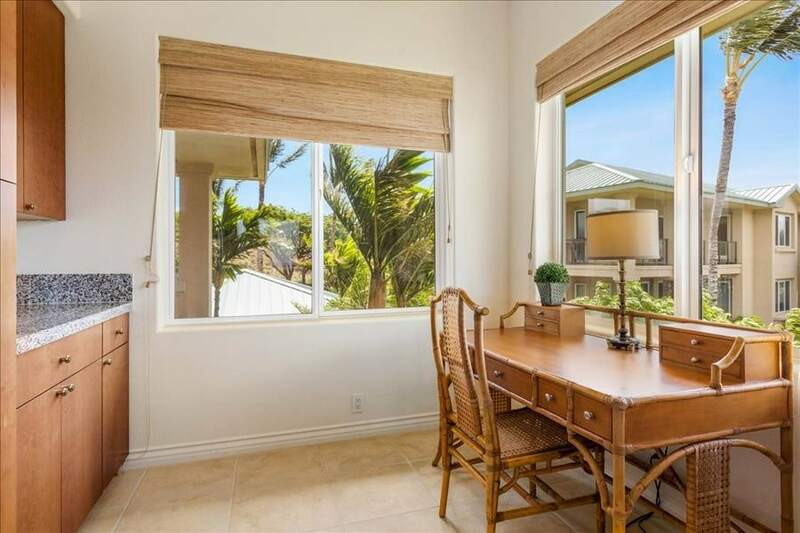 Enjoy the luxury of this 2 bedrooms and 2 bathrooms condo at the Kumulani Subdivision at the Mauna Kea Resort. 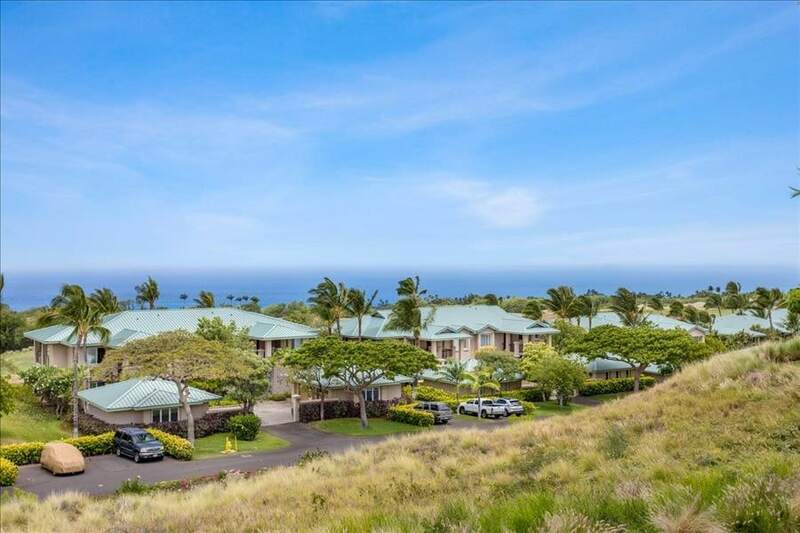 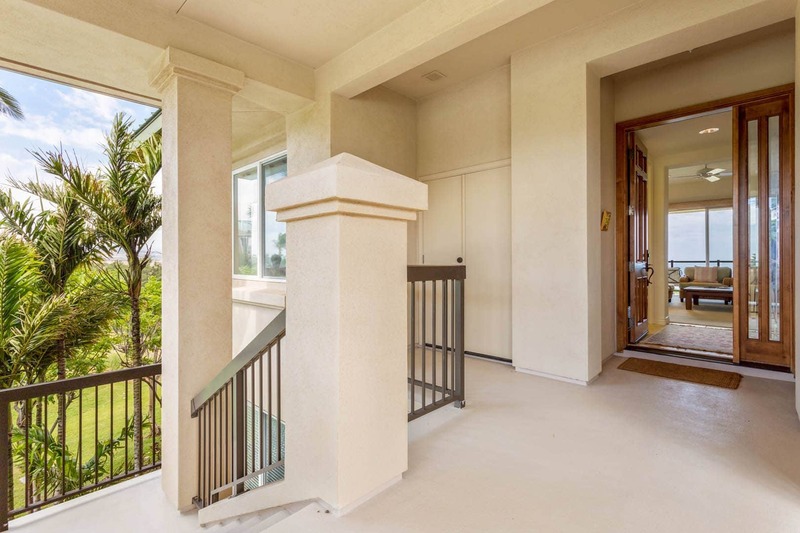 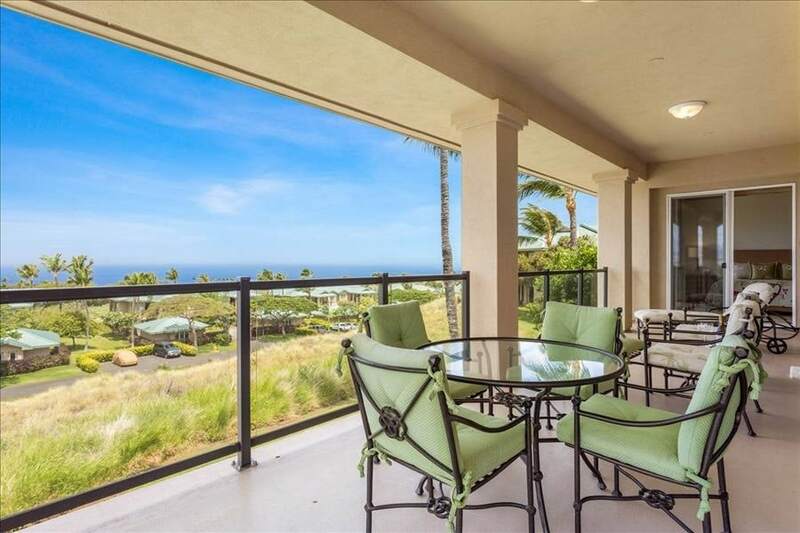 It is a private gated community and is accessed through The Westin Hapuna Beach Resort. 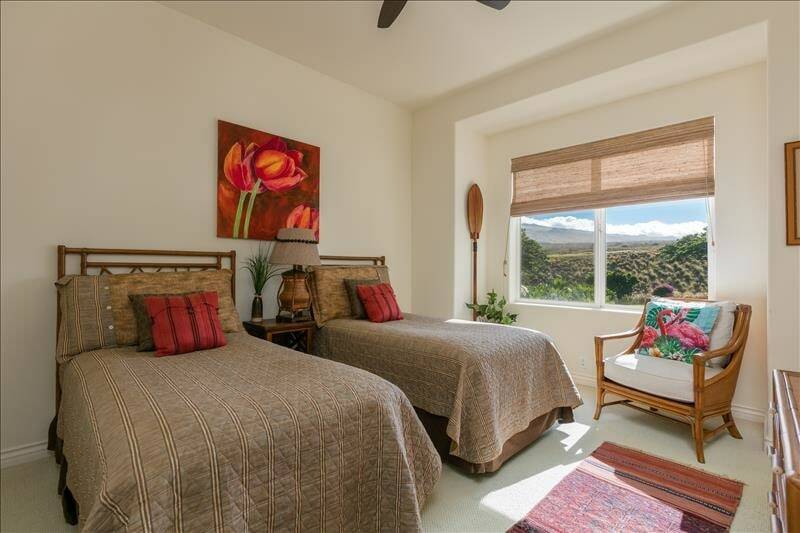 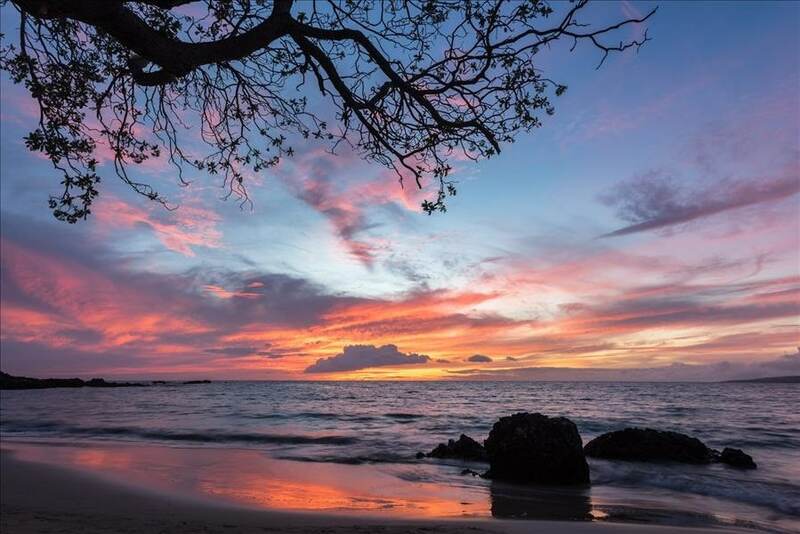 The condo is a mile away or 10 minutes to Mauna Kea’s renowned white sand beach at Kauna’oa Bay and at Hapuna Beach. 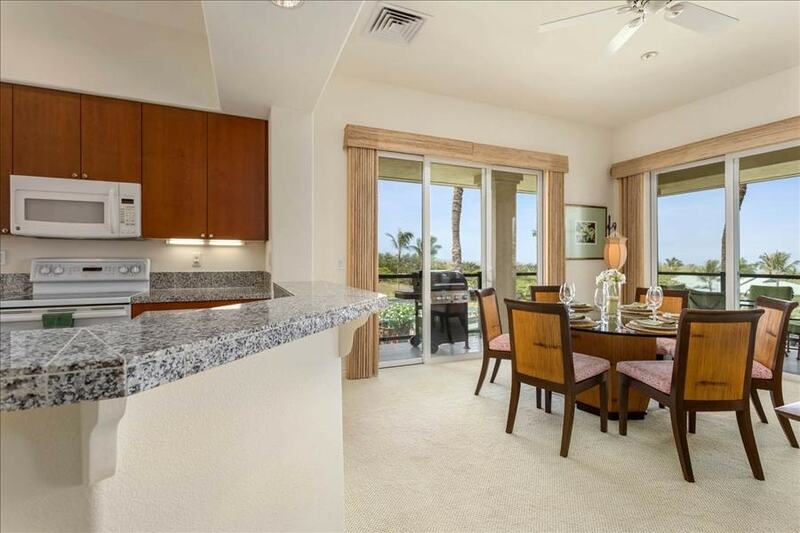 The unit has an open floor plan to join the kitchen, dining room, living room and covered lanai into one large living space. 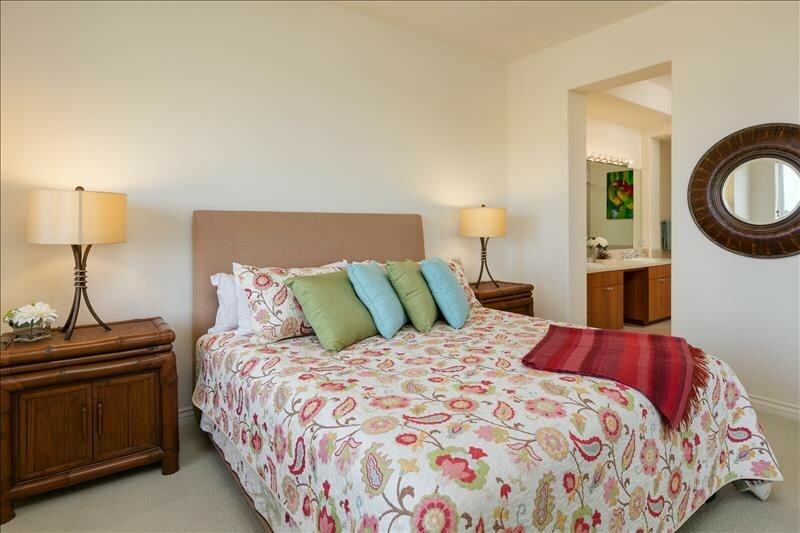 This unit has a professionally appointed interior design and makes you feel relaxed and right at home! 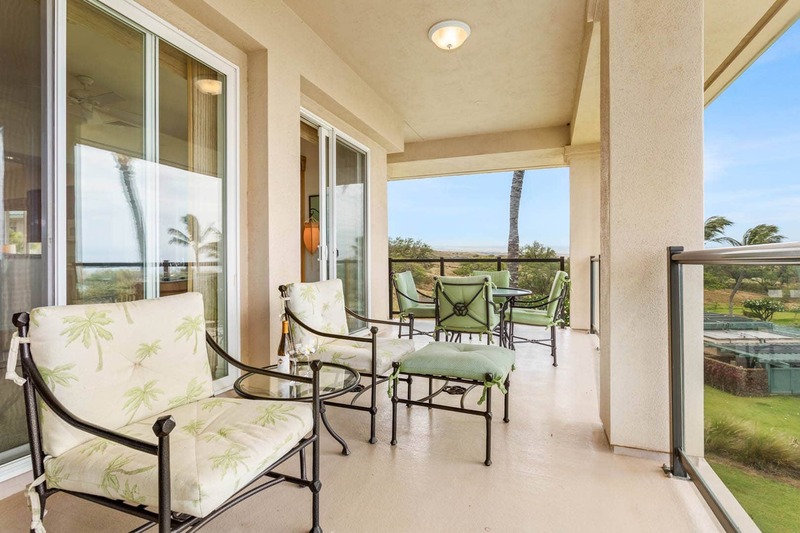 Enjoy entertaining on the lanai for morning lattes and evening cocktails and watch the most spectacular year round sunsets. 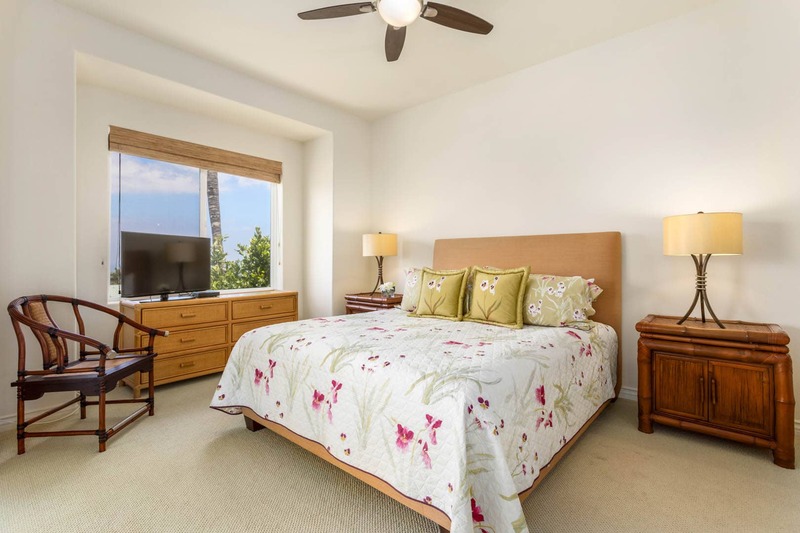 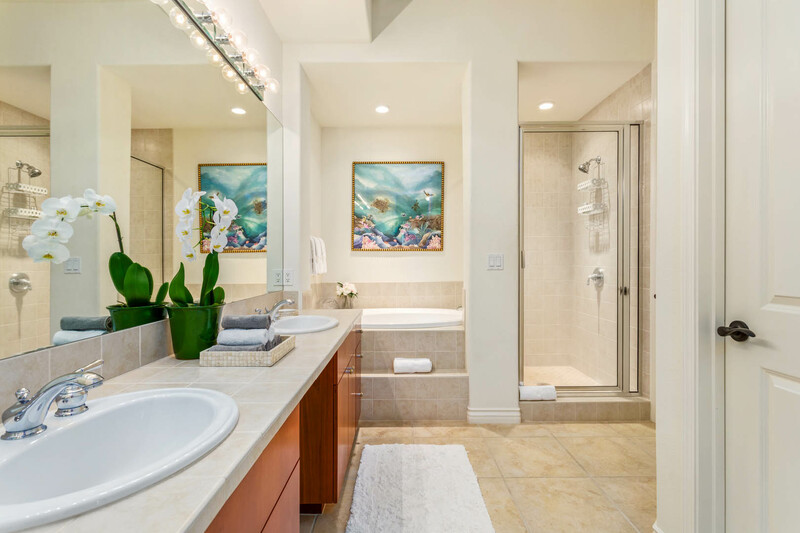 The master bedroom, with its luxury king sized bed, has its own private bathroom with a soaking tub with double sinks for his & her, separate shower and a spacious walk-in closet. 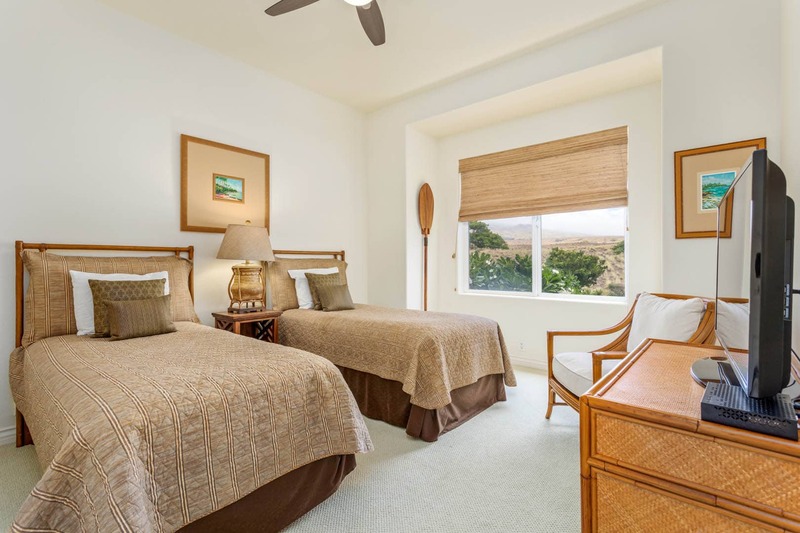 The second bedroom has two twin size beds and a bathroom with a shower nearby. 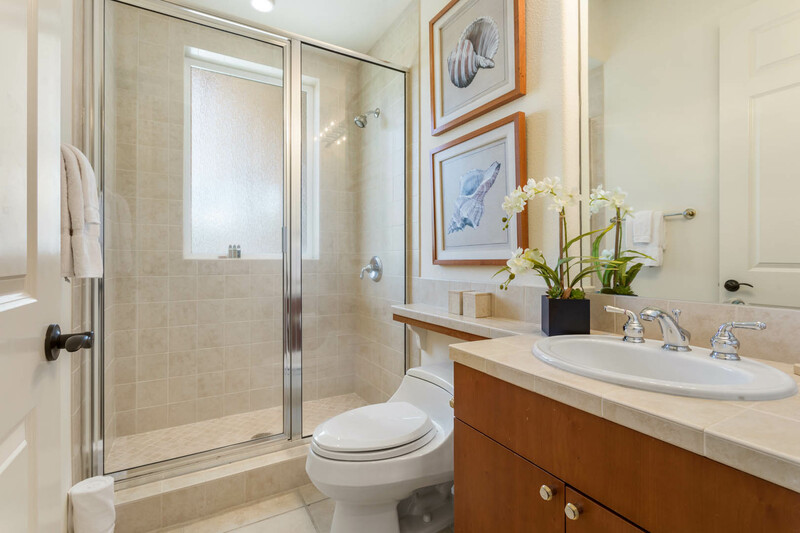 It is central air-conditioned. 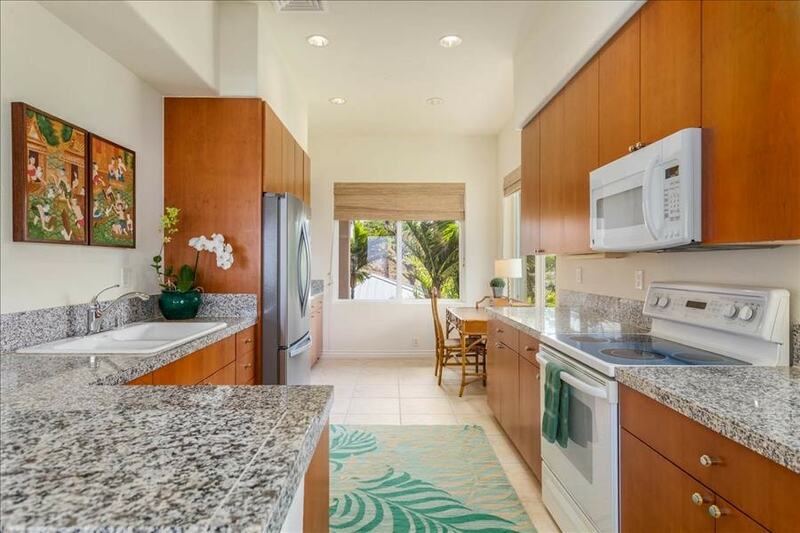 The kitchen is fully equipped for the needs of any home. 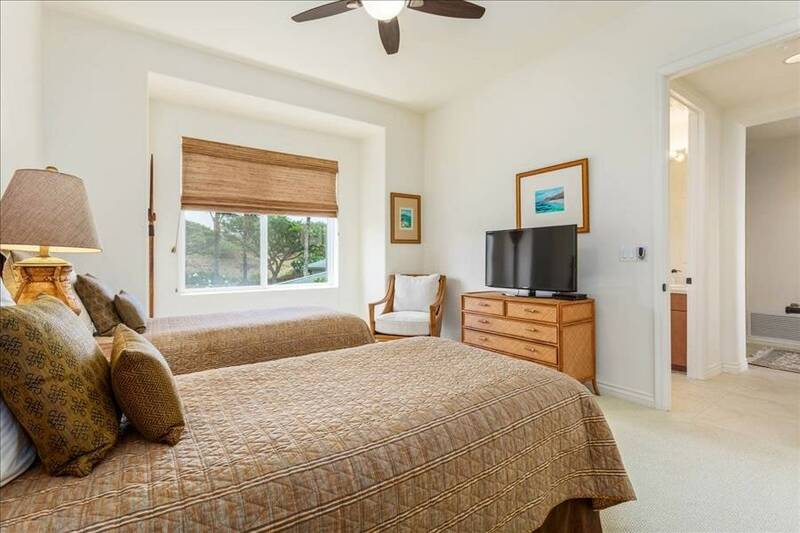 There is a TV in each bedroom, Cable TV and DVD player. 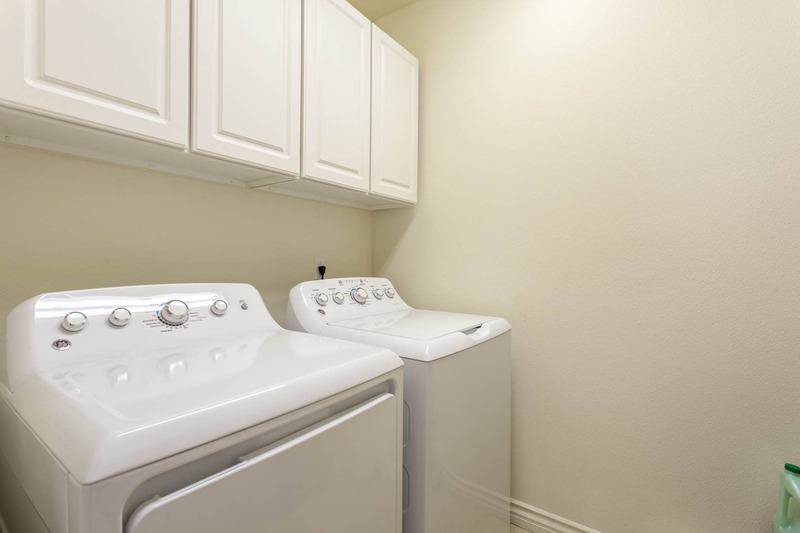 This unit has high speed cable with wireless connection. 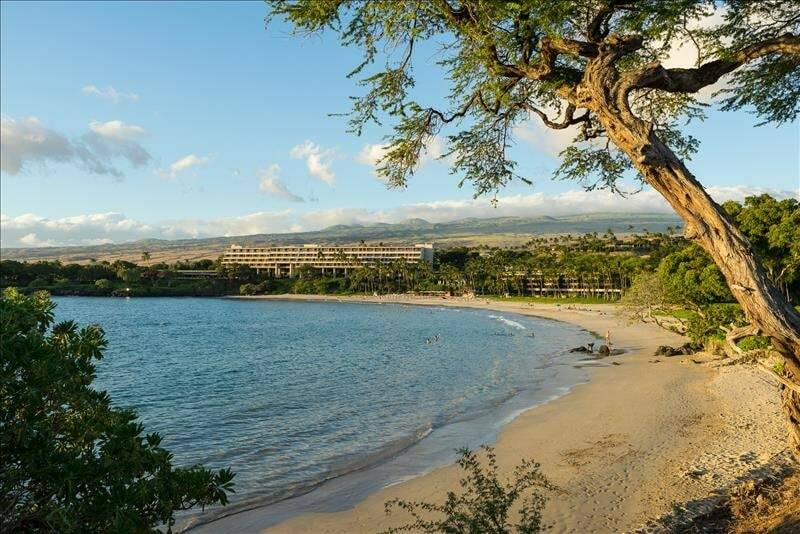 As a guest of the Mauna Kea Resort, WE DO NOT CHARGE FOR ACCESS RESORT FEES; you have FREE access to the Mauna Kea Beach Hotel & The Westin Hapuna Beach Resort facilities which includes two magnificent beaches and swimming pools, two golf courses, nine tennis courts at Mauna Kea, as well as resort charging privileges at many of the hotel’s restaurants, lounges and shops. 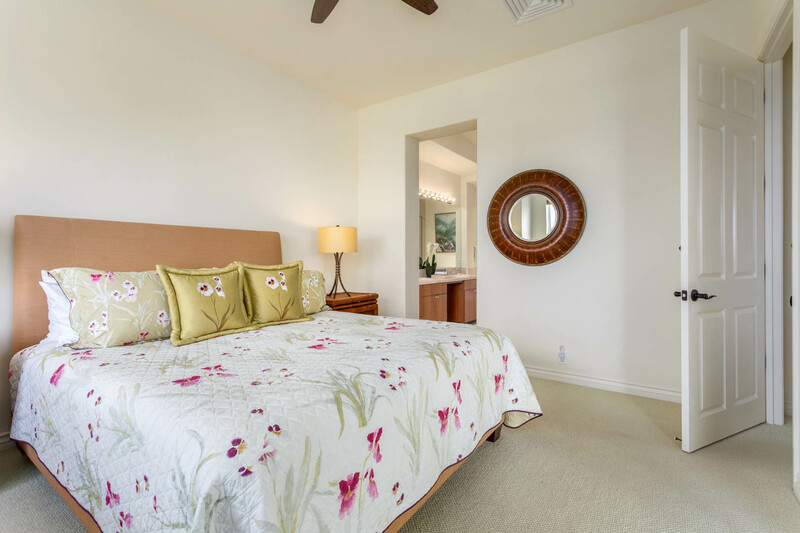 Tennis and golf fees are available at hotel guest rates. 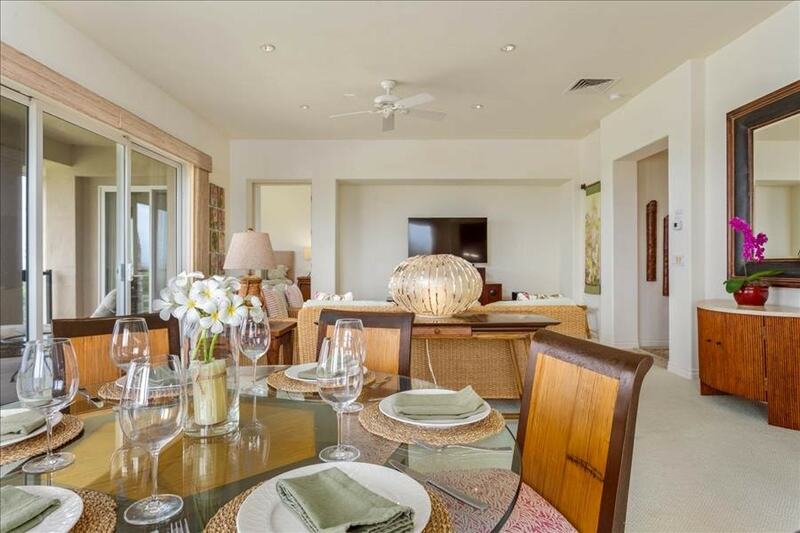 Surround yourself with the luxury, elegance, and all the amenities of one of the world’s finest resorts.